Thank you for deciding to join us at the 35th SQA Annual Meeting and Quality College! We know that you will leave the conference with gained knowledge and an expanded network, but we also know that sometimes, it's not up to you decide if you can attend. 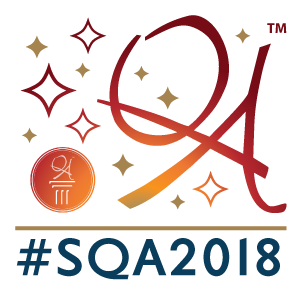 We hope these tips and sample letter witll help you jusitfy your attendance at SQA 2019. If you need specific information about exhibitors, sessions or courses, please reach out to sqa@sqa.org. We're here to help! I would like to attend the 35th Society of Quality Assurance Annual Meeting and Quality College taking place in Atlanta, Georgia, 28 April – 3 May 2019. This conference brings together more than 800 quality assurance professionals to collaborate and expand their expertise through education, knowledge-sharing, and networking. In addition to the educational benefits, attending SQA Annual Meetings is a great way to meet like-minded professionals and expand my network. It also creates an opportunity for our organization to share our work and lessons learned with the QA community. The opportunity for me to develop a network of contacts and to gain knowledge in specific areas of evaluation, makes my attendance at the 35th SQA Annual Meeting and Quality College a wise investment that will benefit our organization. Please let me know if you have any questions, or would like more information on SQA. Before meeting with your supervisor, prepare a plan that shows who will cover your duties while you attend the conference. Offer to prepare and deliver a short presentation and Q&A session for your colleagues to share what you learned. This way, your coworkers will benefit from your attendance. List specific sessions and explain how they will impact your practices or organization. Clearly make the connection between your needs and the benefits you are identifying. If the scholarship approver is outside of your department, don’t assume they understand your goals or any technical terms. Spell out the impact for them. Passion is the best persuasion technique – let yours shine through in your letter.